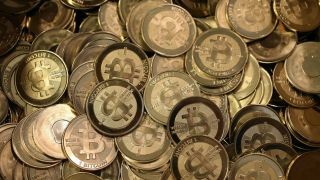 Bitcoin has been forked once more to create a new cryptocurrency named Bitcoin Gold, although the virtual cash experienced a troubled birth thanks to a cyber-attack on launch day. Bitcoin has already been forked earlier this year, with the creation of Bitcoin Cash in August, and now Bitcoin Gold has come along with the aim of making currency mining a more accessible affair for individuals (as opposed to behemoth mining operations with super-powerful hardware). Unfortunately, as the Telegraph reports, as soon as the golden variant of Bitcoin launched on Tuesday, its website came under DDoS attack. The attack wasn’t successfully dealt with until almost three hours later, and even at that point, Bitcoin Gold noted it would take a bit more time to begin operating normally. Quite some disruption for the opening day. The website was fully back online yesterday, but the value of Bitcoin Gold fell heavily from around $500 (£380) at launch to about $150 (£115) yesterday, and it currently sits at $122 (£90). Not the most auspicious of starts, but to be fair, there’s a long road ahead. Bitcoin Cash currently has a value of $339 (£260), whereas Bitcoin itself towers at $5,940 (£4,500) at the time of writing according to Coin Market Cap. Such has been the explosion in the value of Bitcoin since the spring, it’s hardly surprising that it has been attracting so much more attention, from miners buying up graphics cards, to some websites employing sneaky means to mine virtual coins using the CPUs (and hence electricity) of site visitors.